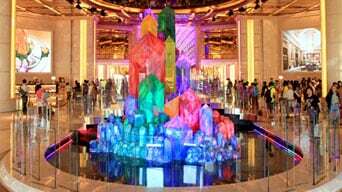 On the East Promenade of Galaxy Macau stands an immense collection of Wishing Crystals. 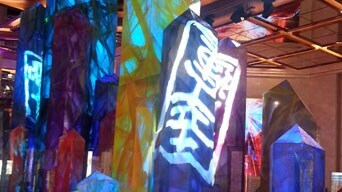 Designed by Jeremy Railton, these numerous coloured shards reach into the air to bestow multiple blessings upon visitors. Wave your hands by the crystals - and watch them pulse with light and music!